A year ago, when the six of us sat in a Vancouver restaurant to agree that we were going to start our new company, I started work on a makeshift website, primarily to expose our value proposition and to house the beginnings of the blog you are now reading. Prior to releasing our first Minimum Viable Product (MVP) we wanted to generate some business leads. Lead gen is all about the prize you give to the provider of personal data, and we needed something (as a friend and investor often said to us) to sell the fire and not the fire extinguisher. Meaning that we needed to address the pain which would naturally lead to an enhanced desire for the pain relief. With that in mind I corralled the team at Jason’s place for a 2 hour brainstorm session, where I hoped to get enough stickies on the wall to create an ebook worth exchanging an email for. By the end of the session, we had several hundred post-it notes – some great and some ridiculous and I headed home to start writing. 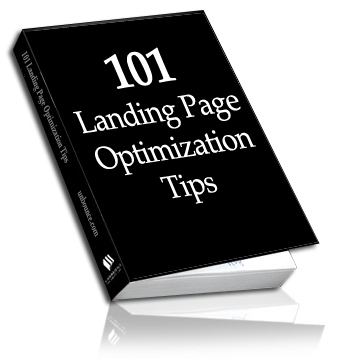 Despite fears that this could take a week, I worked all night and in the morning presented the team with a 27-page PDF of the official Unbounce eBook – “101 Landing Page Optimization Tips – An Opinionated Guide to Conversion”. This was our lead gen prize for the past year and it served us well, building a customer list, spreading the brand and our knowledge on the subject of conversion. Looking back on that day where we did what needed to be done to achieve a goal, is a fond memory, but today, on the anniversary of the creation of Unbounce, I’ve decided to remove the shackles of the lead gen form and turn the PDF into a 5000ft blog article for everyone to read without impediment.